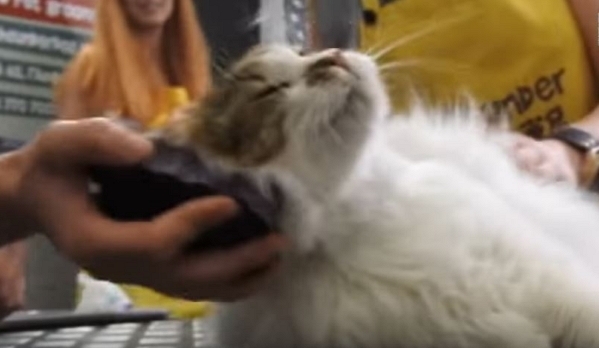 Feral cats may conjure specific images for some people, but then consider adding a first-time grooming to the mix. Feral cats may conjure some very specific behavioral images, but just imagine adding a first time grooming into the mix. Well, this is one kitty that may just change perceptions! This is a super cute video, but the cat isn’t feral — feral means undomesticated by humans, and there’s no way a cat who had not been socialised to trust humans would be happy to be in a vulnerable situation like the video. agree, this cat was someone’s cat at one time. adult ferals take time to tame down like this.